Craig John Counsell (born August 21, 1970) is an American former professional baseball player and current manager in Major League Baseball (MLB). Counsell was an infielder who played sixteen seasons for five teams. Counsell is currently the manager of the Milwaukee Brewers of the National League, a position he has held since May 2015. Counsell is best known for his playoff performances in 1997 with the Florida Marlins and in 2001 with the Arizona Diamondbacks. He has the distinction of having been on base for the last two times that the World Series ended with a walk-off hit, and was named the NLCS Most Valuable Player in 2001. He is also known for his unique batting stance; for much of his career, Counsell held his bat over his head, and seemed, during his preparation for hitting, to stretch it higher still. Late in his career, Counsell lowered his batting position significantly. Counsell was born in South Bend, Indiana. He grew up in Whitefish Bay, Wisconsin, and attended Whitefish Bay High School, where he played baseball. His father, John, worked for the Milwaukee Brewers of Major League Baseball (MLB) as their director of the speakers bureau and director of community relations. Counsell attended college at the University of Notre Dame, where he played for the Notre Dame Fighting Irish baseball team. The Colorado Rockies of MLB selected Counsell in the 11th round of the 1992 MLB Draft. He made his MLB debut with the Rockies on September 17, 1995, and appeared in only three games for Colorado that season. The Rockies traded Counsell to the Florida Marlins for Mark Hutton in July 1997. He immediately became the Marlins' regular starting second baseman. He scored the winning run in the bottom of the 11th inning of Game 7 of the 1997 World Series for the Marlins, on an Edgar Rentería single over pitcher Charles Nagy's head, after tying that game in the bottom of the ninth with a sacrifice fly. In June 1999, the Marlins traded Counsell to the Los Angeles Dodgers for a player to be named later (minor leaguer Ryan Moskau). The Dodgers released Counsell during 2000 spring training, and he signed with the Arizona Diamondbacks. His stay with the Diamondbacks lasted four years. Counsell batted 8-for-21 in the 2001 National League Championship Series (NLCS), and won the NLCS Most Valuable Player Award. He was hit by a pitch by Mariano Rivera to load the bases for Luis Gonzalez in the bottom of the 9th inning of Game 7 of the 2001 World Series, after which Gonzalez drove in the winning run for the Diamondbacks, a bloop single over the drawn-in infield. After the 2003 season, the Diamondbacks traded Counsell to the Milwaukee Brewers, with Chris Capuano, Chad Moeller, Lyle Overbay, Jorge de la Rosa and Junior Spivey, for Richie Sexson, Shane Nance and a player to be named later (minor leaguer Noochie Varner). With the Brewers, Counsell started at shortstop in 2004. After one season with the Brewers, Counsell returned to the Diamondbacks as a free agent for two more seasons. 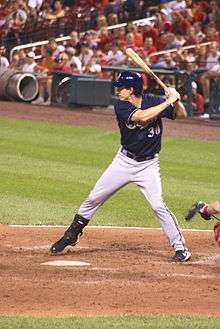 Counsell returned to the Brewers as a free agent for 2007 and filled the role of utility infielder. He recorded his 1,000th career hit on August 16, 2008 against Derek Lowe of the Los Angeles Dodgers. In 2011, he was the fourth-oldest player in the National League, and had the second-best career fielding percentage of all active second basemen (.991). In 2010, he was chosen as the 13th-smartest athlete in sports by Sporting News. From June 11 to August 3, 2011, Counsell tied the all-time record for consecutive at-bats without a base hit for a position player, going hitless over a streak of 45 at-bats as a bench player and spot starter. The record was set by notoriously poor hitter Bill Bergen in 1909, and later tied by infielder Dave Campbell in 1973. It had been reported Bergen's streak was 46 at bats; however, subsequent research definitively established that Bergen's streak stopped at 45, meaning that Counsell tied but did not break the record. The record was broken only a few weeks after Counsell tied it, by Eugenio Vélez of the Los Angeles Dodgers. By the SAFE: Spatial Aggregate Fielding Evaluation method of evaluating defense, Counsell was both the highest-rated 2nd baseman and the highest-rated 3rd baseman over the period from 2002 to 2008, with an average runs saved of 10.18 and 5.86, respectively. In early 2012, Counsell retired as a professional baseball player to take a front office position with the Brewers. Counsell served as special assistant to general manager Doug Melvin. In 2014, Counsell was named a part-time color analyst for Brewers radio broadcasts. He rotated with Darryl Hamilton and Jerry Augustine to call games with Joe Block when primary announcer Bob Uecker was absent. On May 4, 2015, Counsell was hired by the Brewers to become their manager after Ron Roenicke was fired the day before. He signed a three-year contract. Counsell and his wife, Michelle, have four children: sons Brady and Jack, and daughters Finley and Rowan. ↑ Tom Haudricourt. "Craig Counsell grew up with the Brewers". jsonline.com. Retrieved May 4, 2015. ↑ "Craig Counsell in his first full year as Brewers manager, running his very first spring training". March 24, 2016. Retrieved June 20, 2016. ↑ "October 26, 1997 World Series Game 7, Indians at Marlins - Baseball-Reference.com". Baseball-Reference.com. Retrieved May 4, 2015. ↑ "USATODAY.com - MVP Counsell looks like a kid, plays like a man". usatoday.com. Retrieved May 4, 2015. ↑ "November 4, 2001 World Series Game 7, Yankees at Diamondbacks - Baseball-Reference.com". Baseball-Reference.com. Retrieved May 4, 2015. ↑ "Craig Counsell Statistics and History - Baseball-Reference.com". Baseball-Reference.com. Retrieved May 4, 2015. ↑ "Craig Counsell career highlights". Retrieved June 20, 2016. ↑ "2011 National League Awards, All-Stars, & More Leaders". Baseball-Reference.com. Retrieved October 3, 2011. ↑ "Active Leaders &amp Records for Fielding % as 2B". Baseball-Reference.com. Retrieved October 3, 2011. ↑ . "SABR article". SABR article. Retrieved October 3, 2011. ↑ "Dodgers' Velez Sets Hitless Streak Record - SABR". sabr.org. Retrieved May 4, 2015. ↑ "SAFE: Spatial Aggregate Fielding Evaluation". Stat.wharton.upenn.edu. Retrieved October 3, 2011. ↑ "Craig Counsell retires, will join Milwaukee Brewers' front office". ESPN.com. Retrieved May 4, 2015. ↑ Wolfley, Bob (March 3, 2014). "Craig Counsell and Darryl Hamilton will call Brewers radio games Uecker elects to miss". jsonline.com. ↑ Tom Haudricourt (May 4, 2015). "Brewers give Craig Counsell three-year deal as manager". www.jsonline.com. Milwaukee, Wisconsin Journal Sentinel. Retrieved May 4, 2015. ↑ "Craig Counsell". Baseball Reference. Sports Reference LLC. Retrieved August 2, 2016. ↑ Lori Nickel. "Craig Counsell opens home to Lakeshore Chinooks player". jsonline.com. Retrieved May 4, 2015. Wikimedia Commons has media related to Craig Counsell.